I discovered Wyndmere on the shelf of my local health food store and was intrigued to learn more about them. They are perhaps the only company that I interviewed that wasn’t referred to me in some other way, but I was curious to find out if there was a good brand already available to me locally. I received products free of charge from Wyndmere Naturals Aromatherapy in order to write a comprehensive company profile that includes my personal experience with the oils/products. This post contains affiliate links, which means that if you click on one of the affiliate links, Marvy Moms will receive a percentage of any sale. This does not affect the amount you will pay for an item or service and in no way changes opinions expressed by Marvy Moms or Marvy Moms writers. For more info, see Marvy Moms Disclosure Policy. Other Products Sold: Air Mists, Anointing Oils, Aroma Lamps, Bath & Body Oils, Bath Salts, Bottles & Jars, Candles & Candle Holders, Carrier Oils, Creams, Diffusers, Synergistic Blends, Inhalation Patches, Inhalers, Lotions, Massage Oils, Remedies, Roll-ons, and Soaps. Two of the oils that Wyndmere sent me are a 10% dilution in jojoba oil. The reason for this is to make them more affordable to customers. Several stores carry Wyndmere oils on their shelves and my guess is that people buying off the shelf are less likely to pay the full price of an oil like sandalwood at its full strength. Not to mention that stores may not want to carry something that will not sell quickly enough due to price. One thing that I noticed about each of the 10 ml bottles sent to me was that they are only filled maybe 3/4 of the way. Giving the benefit of the doubt, I’d guess that they are using bottles slightly bigger than necessary and filling them by volume. I thought maybe they sent me sample-size bottles, so I called the local health food store to ask what their bottles were like. He confirmed that their 10 ml bottles were also only filled part way. Many aromatherapists decant their oils into smaller bottles as they use them up to prevent oxidization, so having them initially in bottles that are too big could potentially decrease the shelf life of the oils. The oils themselves are what I would expect. When I first received them, I had a lot of trouble smelling anything in the diluted Sandalwood or Immortelle. Now that I’ve smelled these oils at full strength from other companies, I can now pick up the scent and they smell as they should. My favorite of all the ones they sent me is Lemongrass. Is Wyndmere dedicated to supplying essential oils to the aromatherapy practitioner market and educated public? ie: Who is your target market? “Hospitals, hospices, and aromatherapists are our target market. I go in and train staff on basic info about essential oils, how to use natural products and what to look for in natural products (paraben free, synthetic free soaps and lotions, etc…). We have consumer classes and we just talk to the people. I define which oils are good for which particular ailments and I answer questions. With pharmacists, I talk about the formularies. The younger pharmacists are very in tune to what we are doing here. The middle-age are wondering what we’re doing. Older pharmacists understand because this is how they were originally trained. It’s interesting to see differences in generations. In one hospital we use aromatherapy patches. Not dermal, but inhalation patches. You smell a cotton “pill” with a hydro-gel, like what is used for an EKG. A barrier keeps it from being dermal and they are time released. We have them in lavender, peppermint, spearmint, and mandarin. Is Wyndmere on the small size and not a large corporation? 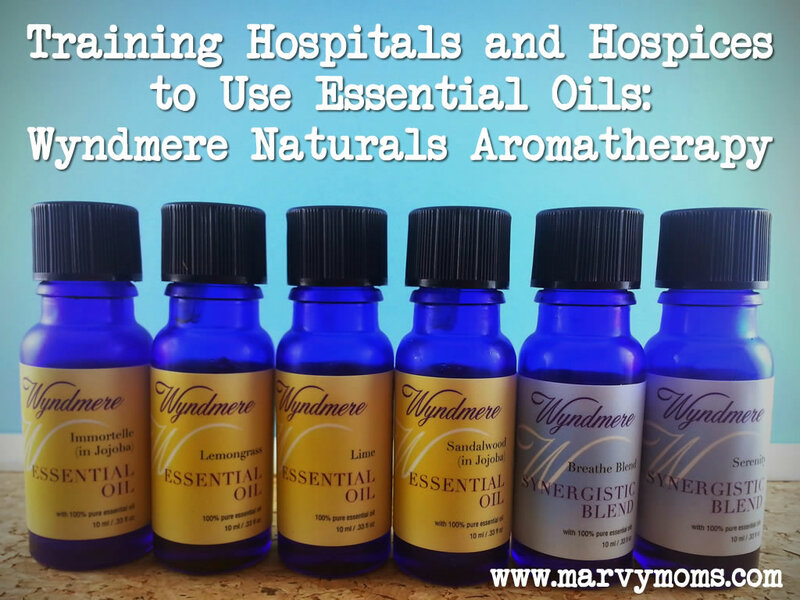 Is Wyndmere owned by an aromatherapy practitioner or essential oil specialist? “Wyndmere is owned by a woman who was a practicing CPA and realized she’d rather be a doctor, but realized she wouldn’t have been able to work with families under critical care. Her business partner was in England and using essential oils, but she couldn’t find the quality oils in the US. 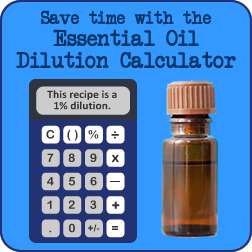 Can Wyndmere readily supply a batch-specific GC/MS spec report on each essential oil it sells? Is Wyndmere readily able to provide material safety data sheets (MSDS) as needed? Does Wyndmere have a strong unquestioned noncontroversial reputation in the field? Our synergistic blends don’t just smell good. They are meant to “do” something. We have had the same distributor since we opened. We have a line of certified organics. We’ve always been a very humble and green company. There hasn’t been a lot of money put into advertising and packaging. Wyndmere also sent me a couple of their air mists as well as aromatherapy soap and lotion samples. The scent from the package was so overwhelming that I started to sneeze and had to quickly put away the mists and soaps until the scent calmed down. I think this may have been due to all of them being inside the box together during shipment. I’m guessing too it was because one of the mists contained pine and cedarwood which I tend to react to. I put them on the shelves along the wall going to my basement and was able to immediately smell them each time I opened the door leading to the basement for several months. I like that Wyndmere has a warning section on their bottles as well as safety precautions on their website, however some of this information is incorrect or lacking. For instance, on both the bottle and website for orange, Citrus sinensis, it says that this oil is phototoxic. This is true for most of the citrus oils, but not for this one in particular. I suppose it’s better to over-caution then under, however, it would be better if the information were correct. Peppermint (Mentha piperita), which contains menthol, does not have any child-specific cautions listed on their website, nor does Rosemary (Rosmarinus officinalis) which contains 1,8-cineole. Both menthol and 1,8-cineole can cause breathing to slow to dangerous levels in small children. Rosemary does at least say to “Avoid if pregnant, epileptic or hypertensive.” Eucalyptus (Eucalyptus globulus) is another oil high in 1,8-cineole and for this one they caution “DO NOT use on children under 12.” The recommendation that I hear most often for this one is kids under 10, so this is on the more conservative side. Barbara sent me the Breathe Blend about which she said, “since you are a mom I will focus on a practical one that can be used for the family during if there are any summer colds.” It is a nice blend, but not one that I would use with my son since it contains both Eucalyptus globulus and Rosemary essential oils. I think it’s great that they are attempting to give safety information, however, I would just like to see it updated by an aromatherapist with an eye toward safe facts. The COA is something that is provided by the supplier to an essential oil retailer and so the retailer has little or no control over what goes into the report. Depending on what the reports from a supplier are like, and how the oil received compares to what the report says, are how some companies determine which oils to send out for further analysis such as GC/MS testing. Although Wyndmere states that they “have available upon request Material Safety Data Sheets (MSDS) and Certificate of Analysis (GC/MS testing)”, it’s important to note that not every COA will have a GC/MS report included. 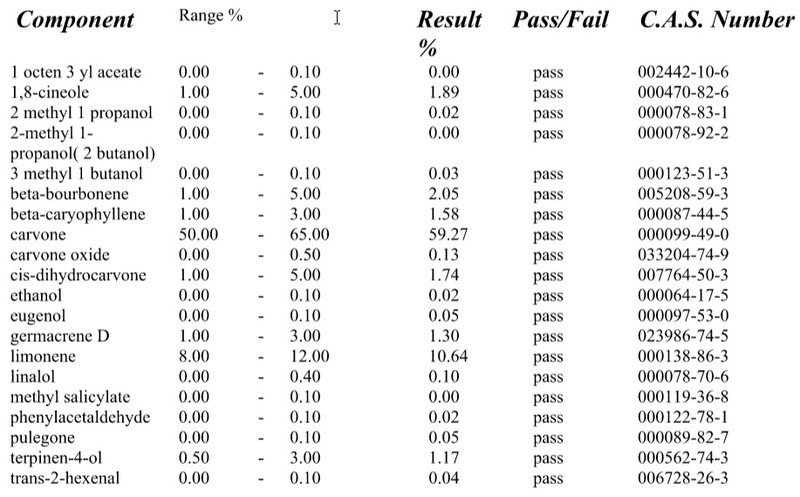 Wyndmere also states that they randomly GC/MS test batches of oils. 1. Wyndmere essential oils are for external use only. Promoting any essential oils for internal use is dangerous as most lay people would not know how to use them properly (for example because of their concentrated nature, many are mucous membrane irritants) but more importantly, any company that promotes internal use of essential oils must comply with the FDA supplements requirements. Wyndmere is not a supplement company. Our products are all considered cosmetics and body care and thus we fully comply with the FDA’s rules and regulations on marketing safe cosmetics and body care items. Any reader who is told essential oils can be used internally needs to perform their due diligence and find out if the marketer of such oils has obtained proper FDA approval to be marketed as a supplement. 2. Quality: GRAS is not a standard of quality. It means “Generally Regarded As Safe” and refers to food and food additives. If you go onto the FDA Web site or, you will better understand that GRAS is only applicable to food and food additives but is not a quality standard for essential oils. In the United States, the only such quality standard for Organic Essential Oils is the USDA which will give proper certification upon a company’s completion of rigorous procedures and policies which must be kept up-to-date. Once the certification is obtained by an USDA approved Organic Certifier, the USDA seal may be displayed on the label but has to also disclose who the certifier is. Wyndmere offers USDA certified organic essential oils (certified by Midwest Organic Services Assn.). 3. Purity of essential oils is best measured by an independent third party that has the very expensive equipment to perform gas liquid chromatography and mass spectrometry (GC/MS). Wyndmere Naturals randomly tests batches of oils using this method. What I really like about this company is the interactions I had with Barbara Karol. The passion she has for her employer came through in our conversation and email exchange. I like that they are active in their community and interested in making a difference in the hospital and hospice setting. It certainly sounds like a wonderful place to work. Barbara mentioned to me that when local people ask her how they can get a job at Wyndmere, she tells them, “One of the old ladies has to kick the bucket, because that’s the only way anyone ever leaves.” Everyone has been there over a decade. Barbara herself has been at Wyndmere for over 14 years. She started out tying purple bows, which she wasn’t very good at, so they found her something else to do that she is good at. If I needed an essential oil in a pinch, I would not hesitate to go to my local health food store and buy Wyndmere oils off the shelf. Their inhalation patches are certainly unique and worth checking out as well. Since the patches are only offered in a few scents, I would like to see them offered with no scent so that oils could be added to them by the user. Tell me in comments what you think of oils from Wyndmere Naturals Aromatherapy. Thanks so much for your research on Wyndmere. I’m just starting out with essential oils and diffusers in my home. I’m finding myself spending quite a bit of time online trying to educate myself. I was having a hard time finding information on Wyndmere. They smell good when I open them and diffuse them and are on the affordable side. I’ve found over the past 2 weeks, however, there are many other factors to consider! After investing another $150 in oils today, I wanted to check the two brands I’d purchased. Better late than never. I found mixed reviews on Aurora Cacia but overall ok. I was having a hard time finding independent information on Wyndmere until your interview and research. It’s nice to know my family is breathing a good product made by a good company. Thanks again!